Spring has finally sprung! It’s taken its time, but we’ve had some glorious weather over the last couple of weeks. As a Nottingham Child Photographer I love Spring. The blossom appearing on the trees, daffodils and then Bluebells, birds tweeting – it’s that time of year when everything comes alive again. Outdoor sessions turn from muted earthy tones of grey, green and brown into a kaleidoscope of colour. For me, it is also made all the more special by its transient nature. Spring doesn’t stand still very long! Bluebells are a particular favourite and it’s always a challenge to firstly find them in an accessible area, and secondly schedule sessions for the few days when they’re at there prime. I sooo wish Bluebells would be around for a bit longer!! 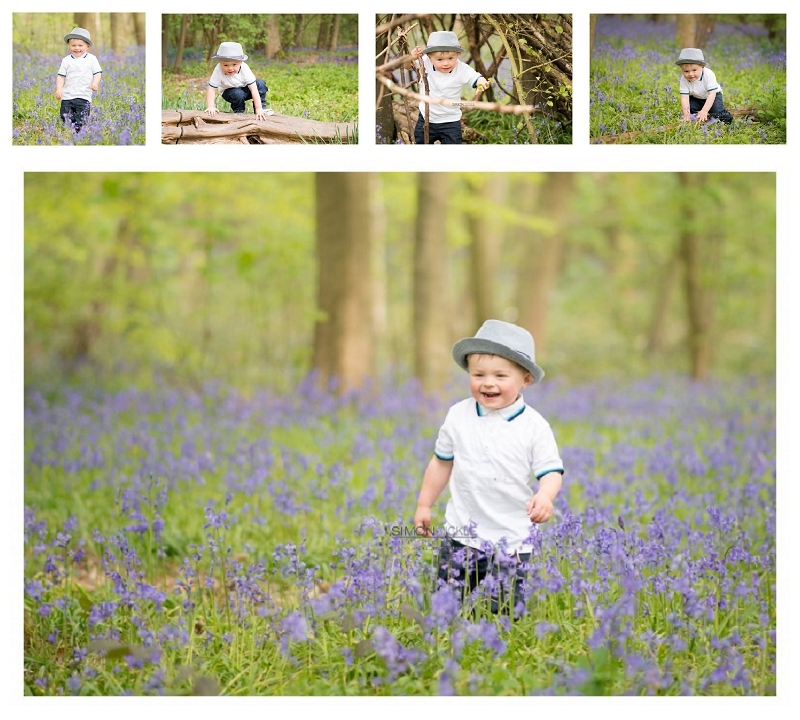 I’ve photographed Mikey on several occasions before, and it was a pleasure to be with him for a trip to the bluebells. We even managed to find a ready made ‘tipi’ within the woods that made a backdrop. I’m sure Mikey’s Mummy and Daddy will love his portraits, and I hope you do too.